The crew of the U.S.S. EnterpriseTM journeys to the heart of the Klingon Empire where Captain Kirk's last surviving relative has become a pawn in a battle to divide and conquer the Federation. 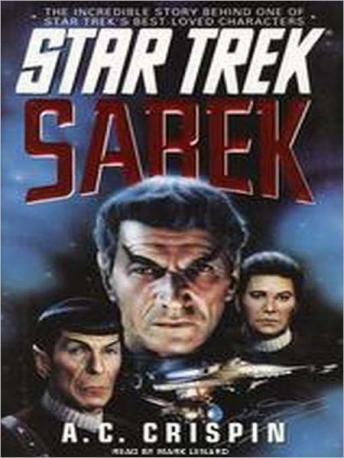 With Sarek's help, the crew of the Starship Enterprise learns that all is not as it seems. But before they can prevent the Federation's destruction, they must see the face of their hidden enemy, an enemy more insidious and more dangerous than any they have faced before. This book was fantastic with a lot of star trek history that is in alignment with all the series! The author was wonderful. He did Spock's voice Kirk's voice, Saiex's voice and many other voices very very well! This was a lot of fun to listen to.